Tamashii Nations has officially unveiled their new Yoda S.H. Figuarts from Star Wars: Episode III – Revenge of the Sith. Yoda stands just over 2.75″ tall. The figure includes interchangeable hands, three interchangeable heads, swappable robe styles for standing or sitting, a cane, a Lightsaber, and his Jedi Council Chair. The figure is a Bandai Premium Web Exclusive. They will open pre-orders on March 10th. 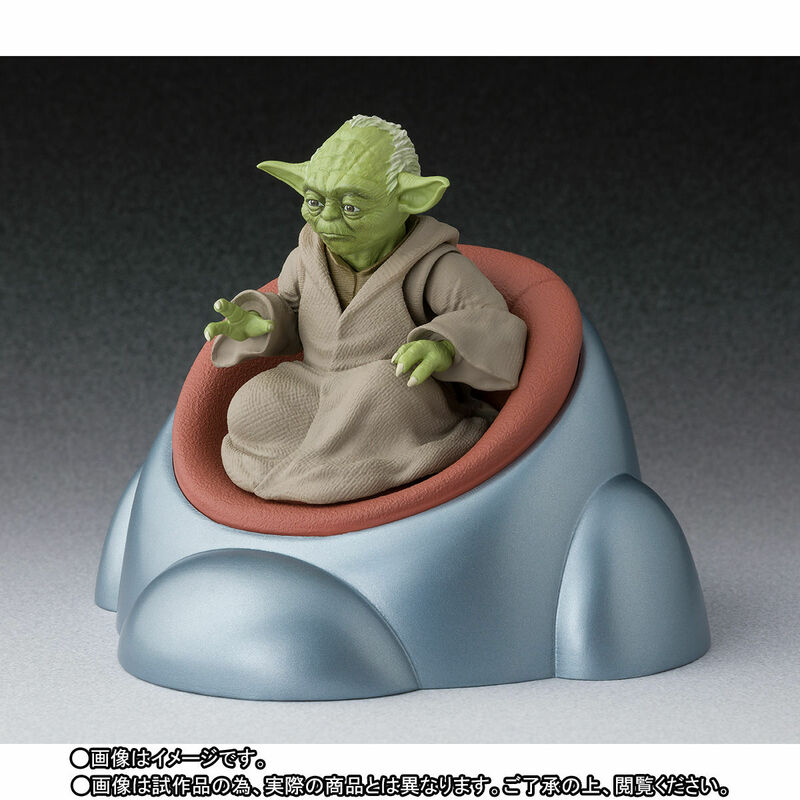 The Yoda Figure is priced at 6,480 Yen (about $58 USD). Look for Yoda to be released in August. Check out the new photos after the jump. The post New Photos and Info for the Star Wars: Revenge of the Sith – Yoda S.H. Figuarts appeared first on The Toyark – News.